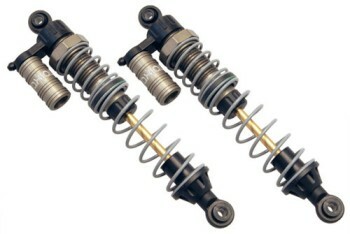 The shocks are great! They came disassembled with 2 stage springs, which I didn't expect, but the instructions for building them were clear and simple. After assembly, they have been in use on a Vaterra Twin Hammers and have been performing excellently and leak free. The pre-load adjustment really does make a noticeable difference on performance, even with just a few turns. Also, TCS had these at my door 2 business days after I ordered them! Rad!